I'm always in awe of those super fit people in the world. People who can run 10K without losing breath, people who get to the end of a Zumba class and hardly break out a sweat, and people who can swim lengths of the pool like an elegant fish getting lost in the water like they belong. I'm not one of these people I admit, so I live my fitness goals through the likes of other people, like my brother-in-law Stephen. My brother-in-law Stephen doesn't do things by halves, and one of them is fitness. He's just turned 60 and he's a triathlete. If you don't know what a triathlete is, it's a person that runs triathlons. This multiple-stage competition involves great inner and mental strength, great stamina and great endurance. The most popular form of a triathlon involves swimming, cycling and running in quick succession without a break over various distances. 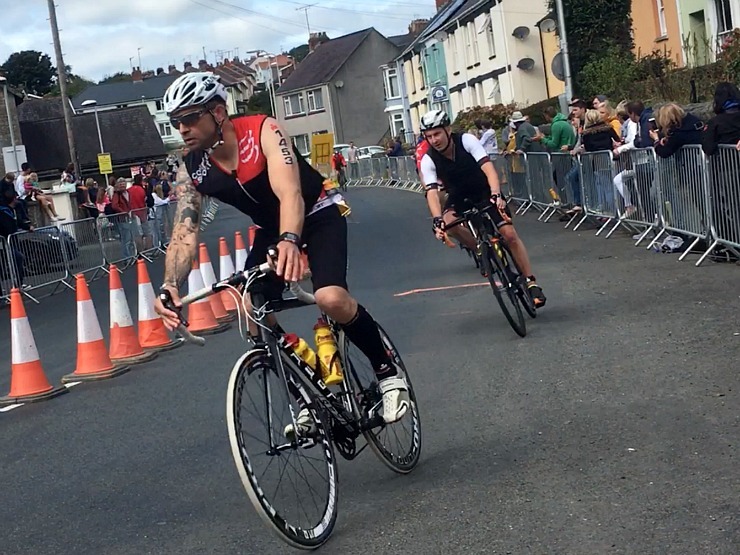 Last year we went to Tenby, in West Wales to see Stephen complete the Ironman Wales triathlon. This begins on Tenby's North Beach and ends on the Esplanade. The Ironman is a specific type of triathlon and is one of the most difficult sporting events in the world. A 2.4-mile swim, a 112-mile bicycle ride and a complete marathon of 26 miles, raced in that order and without a break. It's not for the faint-hearted! 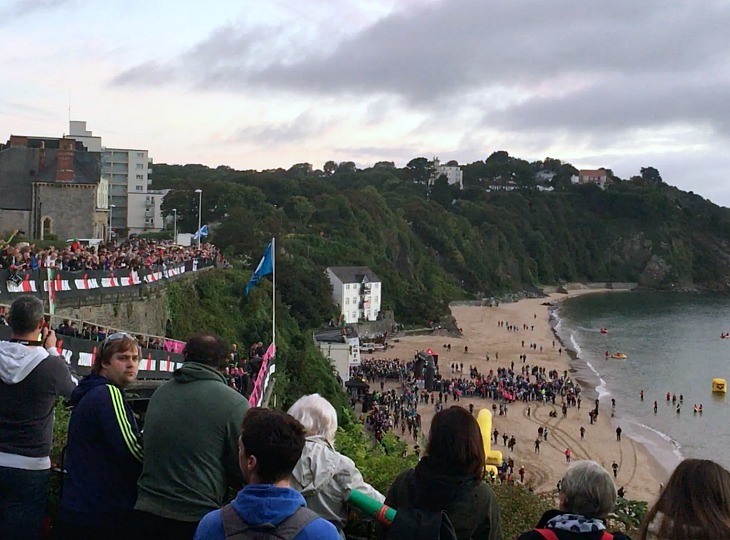 Beautiful Tenby, normally a sleepy town out of peak tourist season, really comes alive for the Ironman Wales and the camaraderie is amazing with all the spectators cheering the participants on. If you are thinking of entering your first triathlon there are some things you need to know. 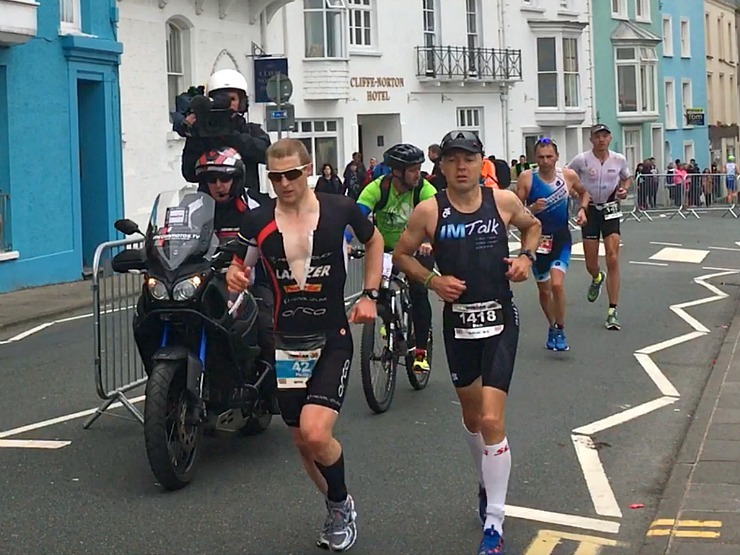 A good training programme is, of course, important for your first and indeed subsequent triathlons, and then getting the right kit is important as it can make all the difference. Below is the basic kit for a new triathlete and can be varied as needed. A wetsuit with goggles and a swimming cap. A bike in good working order, cycle shorts and top, water bottle. Addition of well-fitted running shoes. 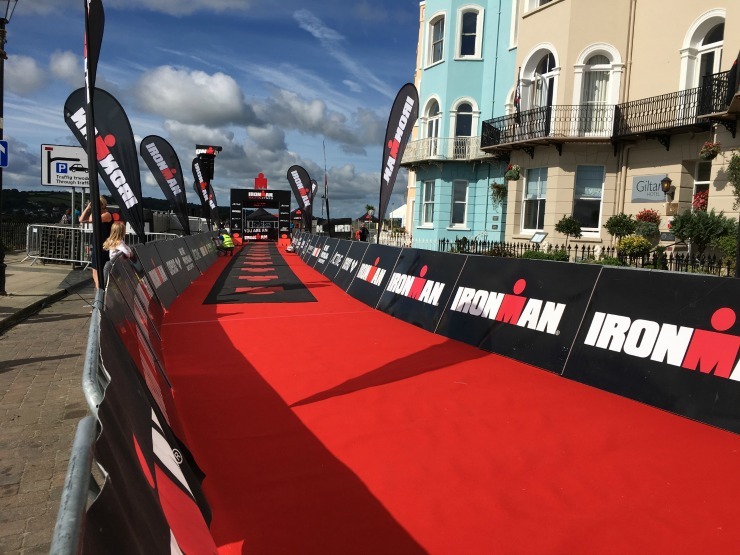 Some triathletes will change into cycle shorts after the swim whilst some will use a Huub tri suit, which is suitable for each step of the race. This can maximise performance and be supremely comfortable managing temperature for the race in hand. For swimming caps and goggles or if you want a wetsuit, try a site like Simply Swim, a specialist bike shop will be your best bet for that perfect bike, whilst running trainers can be picked up on the high street, just be sure to get the best you can afford, wearing them in beforehand. With the Ironman triathlon, you have 17 hours to complete it - Stephen did it in about 16 hours. Not too shabby for a 60-year-old and I couldn't do even one leg of this race that's for sure! Have you ever watched a triathlon? Would you think about participating? Oh my friends husband did this triathlon! I have never watched one, or done one, but I really want to as it looks like fun! I have watched the Ironman race in Hawaii many times,have nothing but respect for everyone that races in one...takes a huge heart to battle all the way to the finish. I think it is amazing that some people can do triathlons, I think even at my fittest I would have fallen at the first hurdle! 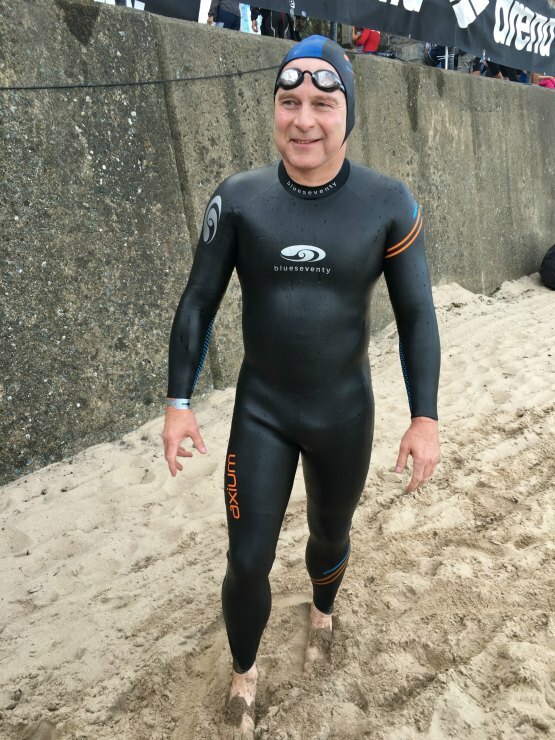 I'm so impressed that your brother in law not only just turned 60 but also took part in a triathlon. Glad you got to enjoy it. I have never watched a triathlon before although I am very impresssed at how they can run, cycle and swim in a short space of time! Well done to them! Stephen did amazing!!! I don't think it's something I'd ever have the fitness to complete. Well done to him! This is a great example that age is just a number! Thumbs up for your brother in law and more power to him. Ooh, is he single? :) I love fitness and workout at least 3-4/wk. But I've never participated in any marathons. I am thinking about training in the summer with a running group though.. Incredible, a blooming triathlon at 60 and I have to hide my struggle to get up the stairs! What an impressive man he is! I’m currently training for the London marathon and it is SO. HARD. I have so much respect for triathletes, especially those doingnit at 60!! Tenby sounds like a beautiful place. I have never participated in a triathalon myself but have a lot of respect to anyone who does as it looks like hard work. I swear you just said your BIL is 60!! Like can I borrow his zeal and determination because like you, fitness I experience via other people. 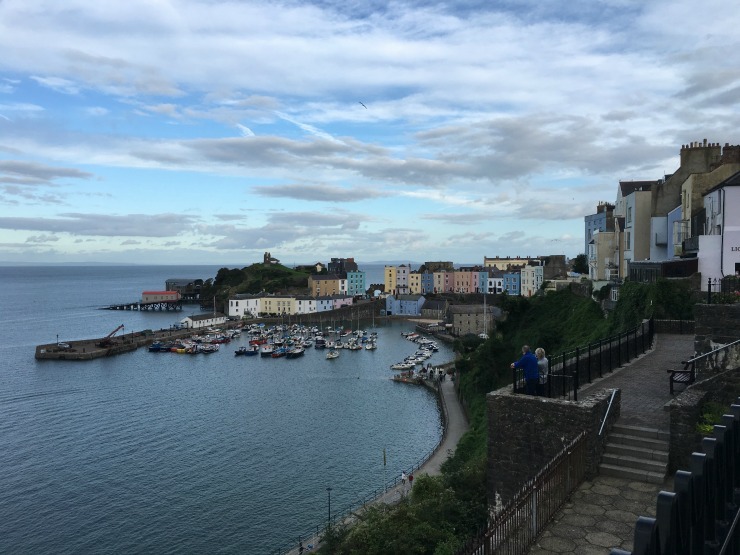 Tenby is so beautiful! I have not done a marathon before but pull my hat off to anyone who has as its so difficult and needs so much preparation. Oh my goodness what a champion! Just the thought of a triathlon makes me feel knackered. 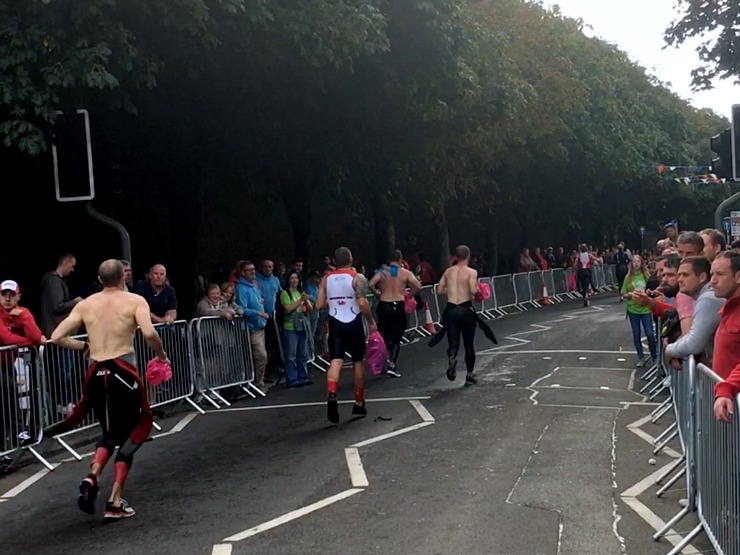 I used to do marketing for a company that specialised in triathlons and it was so amazing to see what goes on behind the scenes when people are still training.